SF Taxi Media: Free To Download And Better Than A 5% Fee. Already Got A Smart Phone, Why Not Try Square? Free To Download And Better Than A 5% Fee. Already Got A Smart Phone, Why Not Try Square? This info is courtesy of Garret McManus, from Square. There are no activation, gateway, monthly, early termination, hidden fees or any additional costs to use Square. Every credit or debit card we accept has the same flat rate. Our fees are taken out of each transaction as they occur; there is no fee schedule. Square also does not require a contract upon signup, and since we only charge per transaction, it doesn’t cost you anything if you don’t use it. Also, the Square card reader is free! 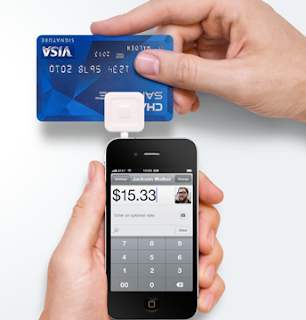 The Square card reader is compatible with iPhones, Android and iPad devices. Our app requires an Internet connection at all times to function properly. This can be either in the form of a Wi-Fi connection or a satellite connection provided by your mobile device’s service provider. Square currently accepts US issued Visa, MasterCard, American Express, and Discover cards, all with the same flat rates. Also, there is no limit on the amount you can accept using Square! To receive your funds, you can link up your bank account with your Square account and we will automatically send your funds within 24 hours. To get Square, download the Square app onto your mobile device; our app is currently free at the App Store or Android Marketplace, just search for Square or go to http://squareup.com/app on your device. Once installed, you will be asked to create a Square account with a user name and password. You may then apply to accept credit cards. Let me know if you have any further questions, also yes we accept paratransit cards.